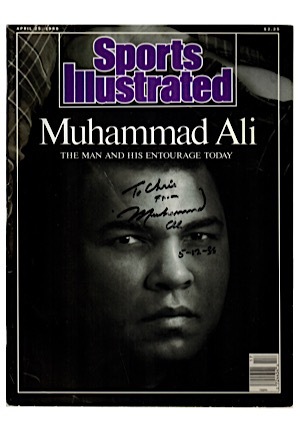 An April 25, 1988 edition of Sports Illustrated featuring Muhammad Ali and reads “THE MAN AND HIS ENTOURAGE TODAY”. 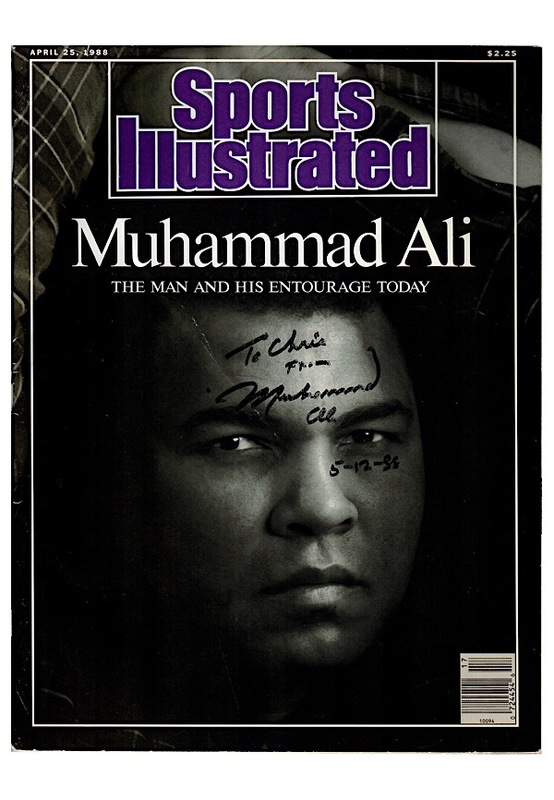 Ali signed on the cover in black marker with the added inscription “To Chris From” and the date “5-12-88” and in our opinion the signature rates a near 7. Accompanied by a LOA from JSA.